Many of the sightings reported are sensationalized, with usually a lot of information missing. Please keep this in mind as you view these postings from the local and national press. I’m afraid many also fail to follow-up on their initial leads, and many reports just remain forgotten. Some incidents could be UFO balloons (please see: https://dandare.wordpress.com/2007/05/19/ufo-balloons-what-are-they/ for more details, from a previous article). 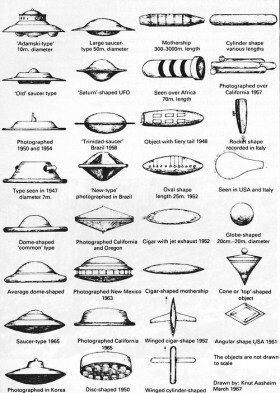 There are also many other IFOs ( Identified Flying Objects they could be as well). However, as i have said before, i am not sure what value they are to any UFO research. Please be patient whilst i catch up on information/links/articles…. thank you. ” Reporting on incoming UFO cases allows early news on selected reports to reach a wider audience, but does leave a wide door open that does not include expert analysis on identifiable objects that are man made or produced by Mother Nature. The few incidents of hoaxing is also a possibility. 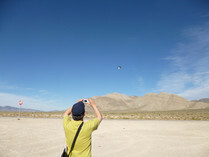 This story opens at 2:30 p.m. on November 8, 2012, near Rachel by the “black mailbox spot at Area 51” – a slice of UFO coverage that may have already been over-reported during the past few decades with an endless supply of documentaries and network television summaries ” [extract from article]. ” (I was looking from) the 63rd Street overpass over the 205 and I saw off toward the south three red-orange lights that were drifting easterly slowly that then seemingly vanished. As I continued to watch, I observed four more red-orange lights rising up from a single point on the horizon, separated by about 45 seconds each ” [extract from article]. ” Either way, this is a rare convergence of science and journalism, one so desperately missing from America’s unending conundrum with The Great Taboo. Between now and the long wait before the next time, we’ll continue to choke down the sort of “X-Files” swill ladled out by the likes of Fox 4 in Naples ” [extract from article]. We’re not mad, you are! 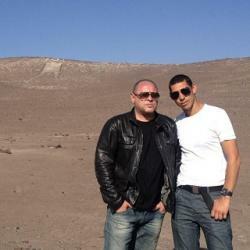 Happy Mondays’ Shaun Ryder criticised by UFO researcher for alien hunt TV show (Mancunian Matters). ” John Wickham of the British UFO Research Association (BUFORA) said the program would not look at the serious side of the subject. He said the media were narrow-minded as they portrayed all UFO spotters mad and accused the government covering up a lot of things. He added: “They [the media] portray people interested in the subject as mad. The media are only interested in entertainment value when they don’t have much else to report on ” ” [extract from article]. “ Malcolm Robinson, who lives in the Old Town, Hastings has taken part in a documentary about the Livingston UFO “attack” which took place in 1979. He will explain the bizarre case of local forester Robert Taylor who reported encountering an extraterrestrial spacecraft in woodland. Mr Taylor, who died in 2007, reported a UFO hovering above a small clearing in the wood and two small mine-like objects dropped from beneath the craft which proceeded to roll across the grass and attack him ” [extract from article]. 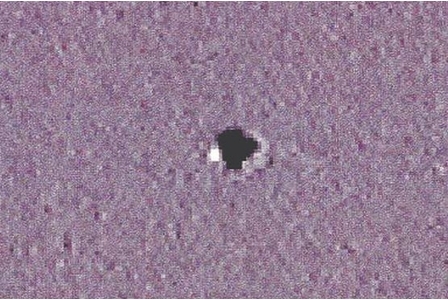 ” A man from Melbourne has recently uploaded a video clip of his UFO sighting using an infrared camera. The film reveals an eerie show of lights not visible to the naked eye ” [extract from article]. ” On Nov. 20, 2012, Scottish Television (STV) Glasgow reported how Strathclyde Police records released under the United Kingdom Freedom of Information Act include “144 official records of people calling about supernatural sightings,” including UFOs and ETs ” [extract from article]. ” Extraterrestrials and unidentified flying objects are the day to day business of SMERF, the Springbrook Mountain Extraterrestrial Response Force. Andre Clayden, a ‘serious’ astronomer and self-described middle man between ufologists and alien spotters, takes calls through the night about strange events in the sky; objects that change colour and direction, make sounds and generally confound and excite their audience ” [extract from article]. ” Did the Mars rover Curiosity sniff signs of life last week? It’s not clear yet, but scientists have definitely seen something interesting. Everyone is keeping mum, but potential findings by the Sample Analysis at Mars instrument, one of Curiosity’s prime life-hunting instruments, have Mars-watchers on the edges of their seats ” [extract from article]. Other references can be found at Time , and space.com (among many others). The reading smight not be available for a while though. “ The photographer explained that he was at Gila Bend, Arizona conducting a sunset photo shoot. “I was concentrating on shooting the sunset. Suddenly, my eye caught a strange object flying over the hills. I turned my Nikon d7000 camera to capture the object. The camera uses a 105mm lens on a tripod and I managed to shoot five pictures,” he shared ” [extract from article]. “ About half a dozen people reported to police they saw an aircraft believed to be a UFO. The reports were called in separately. The individuals described the UFO as being about 100-feet long in width and appeared round ” [extract from short article]. ” Have you ever seen something unusual in the skies over northern Lincolnshire? Over the years, dozens of people have contacted the Grimsby Telegraph to report strange sightings and close encounters. Could they be military aircraft, rare meteorological phenomena or are they craft from other worlds? ” [extract from article]. ” Among the most prominent close encounters of the first kind was of a “solid white light” spotted by a pilot driving through Broadbeach Waters at 4.10am on August 31 . This sighting matched similar reports from Robina, Lower Beechmont and Broadbeach during the same period ” [extract from article]. ” The 6-foot wide metal cylinder partially made of titanium steel was found near Otradnensky, a village two thousand miles from Moscow. Locals have labeled it as space junk, a UFO fragment, or the fuel tank of an American ballistic missile ” [extract from article]. ” Great instincts, but let’s be clear. No, you didn’t talk to all the experts. Please interview more than one. Also: Those platoons of amateur videographers you showed standing watch at Federal Heights, the prescribed vista for shooting UFOs — have they caught anything? Did you look at their footage? And sorry, you DO know what else to do, you even mentioned it on the show: conduct some triangulating camera work ” [extract from article]. ” To be totally truthful, you can’t tell whether this is a spaceship, or just a bunch of clouds which look like one. It’s a big universe out there, with many mysteries beyond the scope of human comprehension. Regardless, this encounter still raises some interesting questions, because it happened on Florida’s “Space Coast,” on the Atlantic Ocean. It’s certainly an alarming sight, whatever it may be ” [extract from article]. ” UFO sightings are reported quite frequently in any given week, but confirmations are scarce. But if it does no harm to anyone, why kill the curiosity? The truth is (still) out there, as fans of X-Files would say. 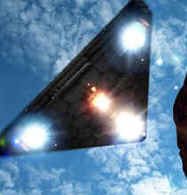 What readers can do is simply take each UFO report, video, and blog entry with a grain of salt ” [extract from article]. ” Highlights from this intriguing historical record include a Royal Air Force sighting (both visual and on radar), a bright light with a triangular-shaped wing that defied explanation by local police and air traffic controllers as well as cigar-shaped objects seen by a Telegraph reporter ” [extract from article]. TR-3B Tactical Reconnaissance Nuclear Powered aerospace platform (thesop.org) not a sighting, but an interesting article all the same, worthy of inclusion in this blog post. ” If you really knew how much behind the scenes research that goes on that we never hear about, it would amaze you. I am ex-military and have been around many Top Secret pieces of technology I cannot discuss. At one point, I held Top Secret Clearance when I was in the Army as a result of my duties. I now realize that I haven`t seen but the tip of the iceberg when it comes to our government`s new technological advances, military weaponry and their capabilities ” [extract from article]. ” Thieme joined “The UFO History Group” consortium of researchers/writers, including Michael Swords and Robert Powell, who spent four years delving into the response the U.S. government and other world agencies have given the UFO phenomenon. The group used government documents and other archival sources to explore what military and intelligence insiders think about UFOs and their possible threat to world security. The book includes Wisconsin UFO sightings – a 1951 report from St. Croix and Marinette in 1956. “UFOs and Government” readers might find the book unsettling for what it reveals about how governments operate and about the UFO phenomenon itself ” [extract from article]. ” On Monday or Tuesday night on October 29 or 30, at least four people at the Challenge petrol station on Malfroy Rd witnessed five glowing orbs move slowly across the road toward Sunset Rd for about 30 seconds before they disappeared behind trees. A Challenge petrol station employee, who only wanted to be known as Michelle, said she and at least three others watched the orbs, which appeared about 8pm just before dark ” [extract from article]. ” Three red lights moving over Washington State generated reports from towns about seven miles apart during the evening hours of November 27, 2012, making this west coast state one of several reporting the same odd light pattern, according to testimony from the Mutual UFO Network (MUFON) witness reporting database ” [extract from article]. ” Now you can be a part of documenting sightings in our area – by clicking on our interactive map on to find out more and posting your own stories. You can also view video footage of alleged spaceship sightings. The possibility of the existence of aliens has fascinated the human race for centuries, and our area is no stranger to bizarre happenings above our heads ” [extract from article]. ” Our correspondent said the UFO was visible in the Iranawila sky for nearly two hours. Residents aimed their torches towards it but the UFO had come close forcing the people to switch off their torches, the correspondent said. Residents said they had seen similar flying objects earlier. They said these sightings are common between 2am and 4am daily ” [extract from short article]. ” Chinese skywatchers marveled this month over mysterious rings of light in the night sky, and now sharp-eyed skywatchers are saying those UFO sightings were sparked by a European Ariane 5 rocket that launched two telecommunication satellites from French Guiana ” [extract from article].